Studied : jazz piano and theory privately with Jack Carraher and classical piano with Richard Reber at the University of Kansas. Recordings : First recorded solo improvisations at age 16 in the KGGF radio studios. 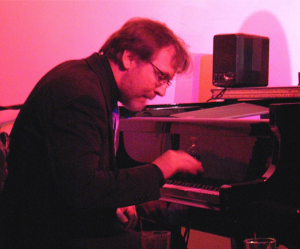 Upcoming : Craig's albums "Element" and "Urtext", improvisations for solo piano and solo harpsichord, respectively, coming soon to iTunes, eMusic, with previews available now at craigswanson.com.